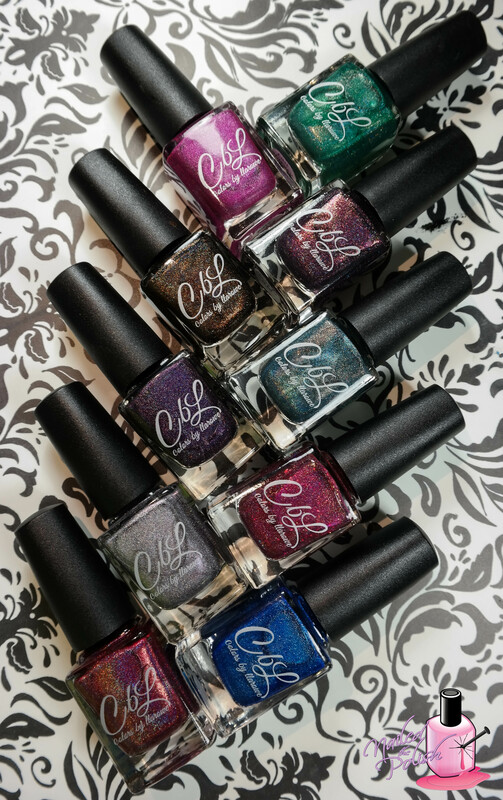 Colors By Llarowe is back with yet another amazing collection! Today I’ll be sharing my swatches and review of their Fall 2015 collection. This collection consists of ten gorgeous polishes that will be available for pre-order today, September 15th, from 12:00pm – 8:00pm MDT. I can’t wait to any longer to share my thoughts on this collection so let’s get started! Rare Orchid is medium orchid pink scattered holo with subtle shimmer and a glowing finish. Shown here is two coats plus top coat. Can you say fabulous?! Cause I sure can! This polish is F-A-B-U-L-O-U-S. I had complete opacity in one coat but I added a second to deepen the color. Formula is perfection and I am loving this color! This rare orchid is definitely glowing! Last Harvest is a medium grass green linear holo. Shown here is two coats plus top coat. The formula here is a little thinner than the others in the collection so if you aren’t careful you could flood your cuticles. With that being said, two coats is all you need for full opacity! And let me just take a moment to say that this is such a perfect shade of green for the fall season! I wish I could roll around in this luscious green holo! Aubergine Dreams is a stunning deep eggplant linear holo with added pink and purple flash. Shown here is two coats plus top coat. For all my purple lovers out there, you NEED this polish. 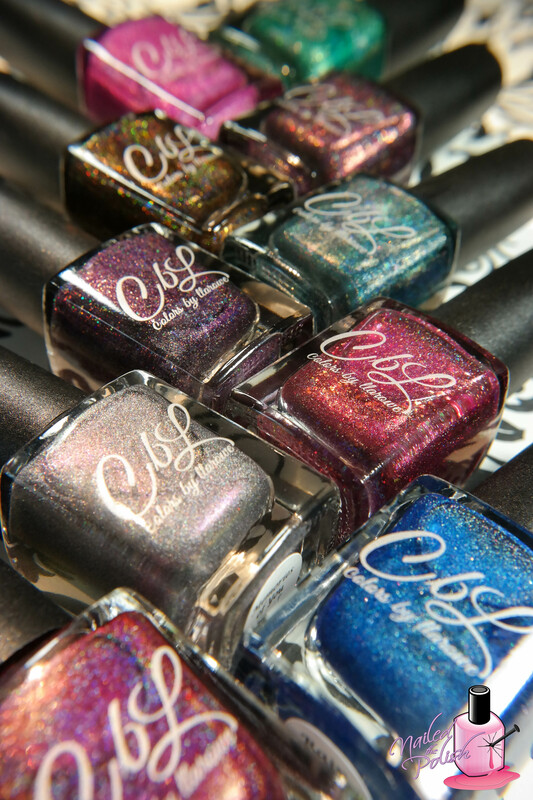 The color is so rich, the formula is so amazing, and the holo is so in your face! Absolutely stunning! I’ll be dreaming of this baby tonight! 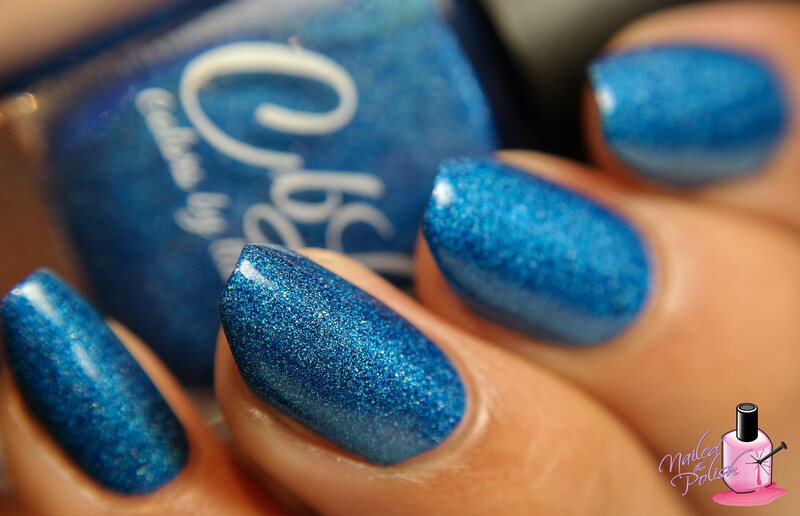 Rain is a bright sea blue scattered holo with glowing finish. Shown here is two coats plus top coat. Just like Rare Orchid, Rain is fantastic! Not only am I totally in love with the formula, I’m totally in love with this bright sea blue shade! It’s one of those shades that looks good on every skin tone. Rain, rain don’t go away! Come again… every day! 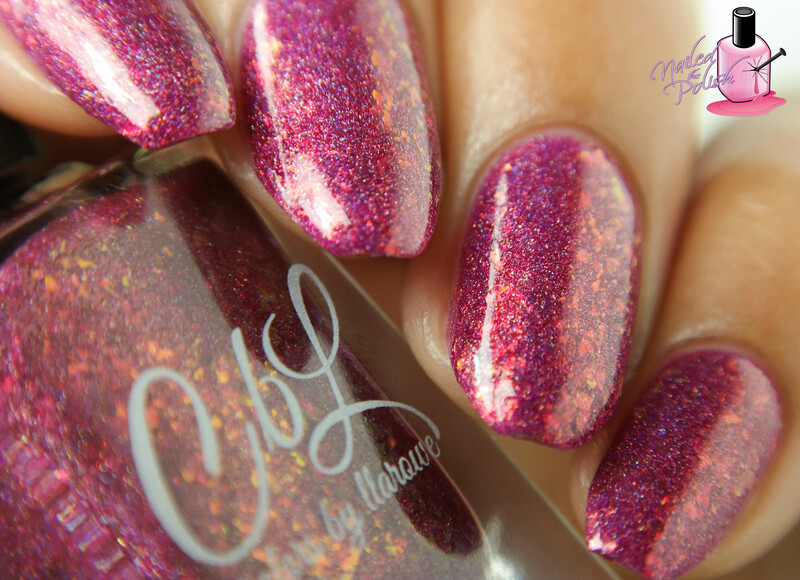 She’s My Cherry Pie is a deep plum brown linear holo with intense shimmer and pink and red flakes. Shown here is two coats plus top coat. Oh boy, let me tell you. I am OBSESSED! There’s just something about the shimmer and flakes in this polish that makes my heart melt – I could literally stare at it all day long. Mocha Grande is a deep chocolate brown (very!) 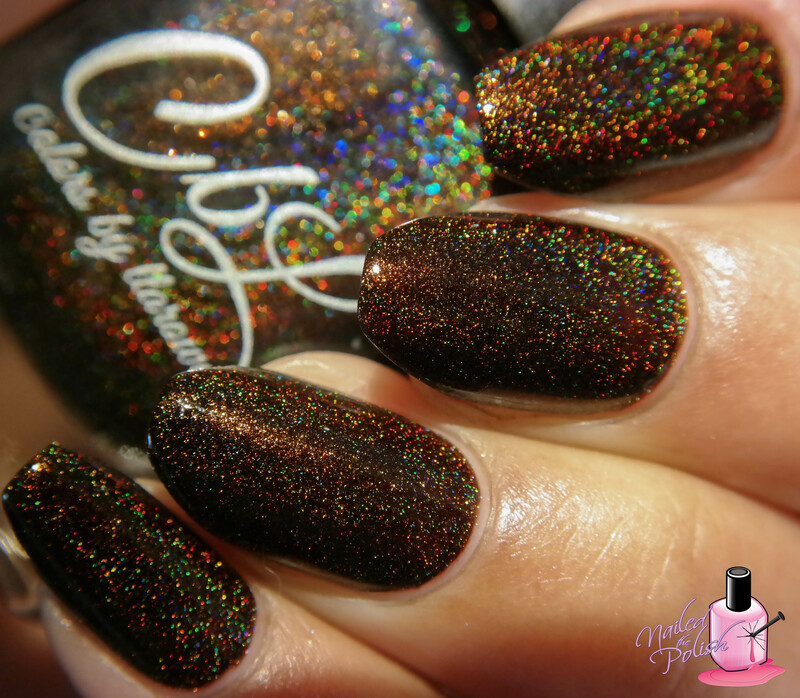 intense linear holo with copper, gold, and red shimmer. Shown here is two coats plus top coat. Another gorgeous polish! The color is so rich and pigmented and the shimmers give it a wonderful depth. In some lighting, it even had hints of olive green. Wine & Roses is a rich wine red linear holo with added purple flash. Shown here is two coats plus top coat. Finally a shade a red that I think actually compliments my skin tone! This polish has a really nice formula and, as an added bonus, I did not experience any staining. 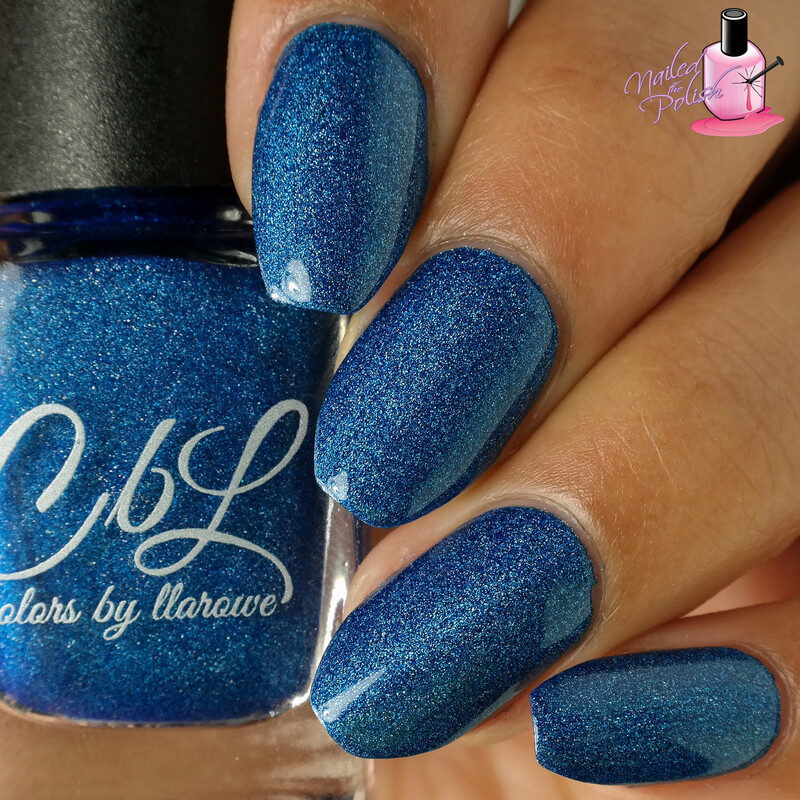 Lake of the Pines is a blue leaning dark pine green soft linear holo. Shown here is ONE coat plus top coat. I wrote one word next to this polish in my swatch notebook – “perfection!” The formula, application, dry time, consistency – perfect. Another polish with a shade that is meant for the fall season! The Fallen is a deep copper red jelly with scattered holo, color shifting flakes and intense copper to red shimmer. Shown here is two coats plus top coat. This polish is absolutely stunning! It’s also super unique and FULL of color shifting flakes. You’d think that with all those flakes, the formula would be hard to work with but it’s not! It’s just as smooth as any other polish in this collection. I’m keeping my fingers (and toes!) crossed that Leah Ann makes more polishes like this in the future! Last up is Memories of You – a silver taupe scattered holo with a lavender undertone and red shifting shimmer with glowing finish. Shown here is two coats plus top coat. I know I’ve used the L word a lot in this post but I really do love this polish. 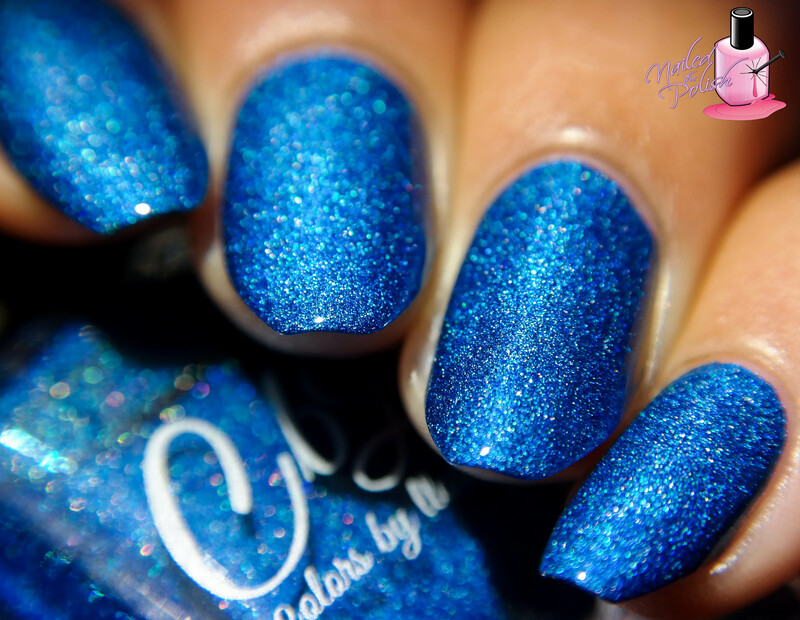 I do not have anything in my collection that comes close to this polish. It’s so pretty, so unique, so wonderful. The formula is amazing and… well… so is everything else about this polish! My favorites are Memories of You, Rain, The Fallen, and She’s My Cherry Pie…. oh! And Mocha Grande. And yes, I realize that I just named half of the collection as my favorite. There really is no bad choice here. They are all stunners! As I stated above, this collection will be available here for pre-order today, September 15th, from 12:00pm to 8:00pm MDT. The full collection is listed for $110.00 USD and individual bottles for $12.00 USD.